I loved Nandini Sen Gupta’s first book ‘The King Within‘ which came out last year. When I discovered that her second book ‘Beaten by a Beard and other stories‘ was coming out, I was so excited. I started reading it yesterday and finished reading it today. ‘Beaten by a Beard and other stories‘ is a collection of eight short stories. All the eight short stories are historical short stories. The historical short story is the rarest of rare birds. I have read some books and stories in my time across a wide range of genres, but I haven’t read a historical short story yet. The closest I have come is when I read a book called ‘The Mammmoth Book of Roman Whodunits‘ which had fictional whodunits set during the Roman era. Writers who write historical fiction rarely write short stories. Almost never. They try to use the historical facts, that they unearth in their research, in a full-length novel. But Nandini Sen Gupta breaks new ground here, and presents eight historical short stories in this collection. The most fascinating thing about these short stories is that they are not pure fiction, but are based on facts, on actual happenings. Many of the actual events behind these stories are less well known – atleast for me – and so they make the reader see the past with new eyes. Didn’t Marcel Proust say that “The real voyage of discovery consists not in seeking new landscapes, but in having new eyes“? This book takes us on a journey into the distant past and makes us see it with new eyes. For example, the title story ‘Beaten by a Beard‘ is about a queen in a small kingdom in Ancient India. Her husband, the king, passes away, and her son is too young, and the queen ends up governing the kingdom. The interesting thing though is that she is of Greek origin – her name is Agathokleia – and her culture is different from that of her subjects. How she navigates this tricky terrain and fends off the attention of neighbouring kings while trying to govern her kingdom – this is told in the rest of the story. The author explains in the note after the story that there was an actual Queen Agathokleia during ancient times on whom this story is based. I knew that after Alexander left India, some of his generals and retinue stayed back. But I didn’t know that there was a Greek queen who ruled a kingdom. Very fascinating! ‘Dahir’s Daughters‘, the longest story in the book, is about the Arab conquest of Sind and how King Dahir and his daughters are caught in the middle of it. It is in some ways a beautiful and in other ways a sad story. ‘The Pillar‘ is a love story about a diplomat of Greek origin and a courtesan. ‘My Husband the Saint‘ is a story about a princess who marries a Buddhist scholar / saint and how her experience turns out to be. It is a beautiful, poignant story. ‘Parthal‘ is about a young woman who yearns for the independent, everyday middle class life, but who ends up attracting the attention of not one but two kings. ‘Tears of Mahmud‘ is about the last days of Mahmud of Ghazini and it poignantly depicts that death the leveller catches up with even the greatest of conquerors. ‘The Last Book‘ is about the burning of the Nalanda university and library by invaders and how one book, the last book, is saved by a surviving monk. ‘Begada the Venom Veined‘ is about the love of a Sultan for a woman in his harem. It is beautiful, poignant and heartbreaking. And yes, it is not a story from the Arabian Nights, it is based on an event that actually happened. One of the things that stood out to me was this – most of the stories in the book are also about women who wanted to live life on their terms during ancient times, the challenges they faced, and how they responded to those challenges. 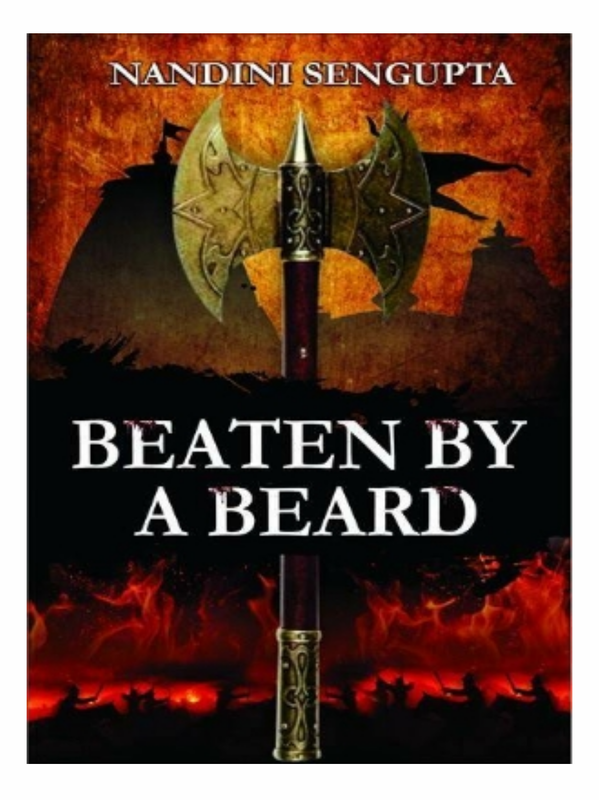 I loved ‘Beaten by a Beard and other stories‘. I love the way the book takes a less known fact from ancient history and shines a light on it through the form of a story and takes the reader on a fascinating journey across time. I also love the notes at the end of each story in which the author describes the historical fact or event on which the story is based and points out the historical sources so that inquisitive readers can explore them further. I love the fact that the author has experimented and broken new ground and probably invented a new genre, the historical short story. I am so happy to have read my first collection of historical short stories. I can’t wait to find out what Nandini Sen Gupta comes up with next. Have you read ‘Beaten by a Beard and other stories‘ by Nandini Sen Gupta? What do you think about it? Note : From what I know, ‘Beaten by a Beard and other stories’ is available only in digital form. If you’d like to read it, you need to install the Readify App, which is available at the Google Playstore, on your smartphone and search for the book in it. You can buy and read the whole book or you can buy and read individual stories. Happy reading! Gae Polisner’s ‘In Sight of Stars‘ was one of my most awaited books this year. I loved all her three earlier books and so I couldn’t wait to read her new one. In the first scene of the story we find Klee Alden, our narrator, opening a door and entering somewhere and he sees something inside which shocks him and something inside him snaps and he takes a knife out of his pocket and before anyone around him could do anything, he tries to cut himself in his neck. Sometime later we find him in a hospital and he hears voices while his eyes are closed. Later, when his physical health is better, he meets the therapist, Dr Alvarez. As Klee and Dr Alvarez talk about his past and what led to his present, Klee also narrates his story in the first person in the gaps between two therapy sessions, and we get to know more about his life, his dad who was a lawyer but who was a painter at heart, his mom who is always dressed elegantly and who seems to be always detached emotionally from family happenings, his friends Kleto and Dan, his new friend and later girlfriend Sarah – we learn about all these people and the part they play in Klee’s life. We also learn about the people he meets at therapeutic centre – Martin, Sabrina and Gene – people who are there for therapy like him and with whom he becomes friends. Atleast sort of. We also learn about Sister Agnes Teresa who frequently visits Klee in the evening, plays board games with him and keeps him engaged and provides him opportunities to learn and grow as a person. We also learn about Nurse Carole, who takes care of Klee. We also learn about Klee’s love for the paintings of Van Gogh, a love which has been passed on to Klee by his dad. As we wonder what happened in Klee’s life that led to his present situation, the different story strands weave together into one fabric and the surprises are revealed. When the revelations arrive, they are stunning – I didn’t see them coming. The first thing I loved about ‘In Sight of Stars‘ was the cover. It is stunning, isn’t it? A great ode to Vincent Van Gogh. I also loved the story – the shocking start, the journey back and forth across time as the different happenings in Klee’s life are revealed, the stunning surprise which leaps at us towards the end and how all the story strands come together perfectly in the end. Halfway through the novel, I despaired for Klee – it looked clearly that he has suffered a lot, but we don’t know the details, and I wanted things to become better for him so that he could live a normal boring life, like everyone else. Does he get to do that? I so want to answer that question but I won’t – that is not for me to reveal but for you to read and find out. I loved most of the characters in the story – some of them were beautiful and perfect while others were beautiful and complex and flawed. I loved both types. My favourites were Dr Alvarez and Sister Agnes Teresa and also Klee’s mom, but when I think about it again, I really loved them all – they were beautifully sculpted. Gae Polisner’s prose flows beautifully and every sentence and paragraph and page moves the story, builds a character or sets up a scene. There is no word wasted. The book is also a love letter to Vincent Van Gogh and his paintings. If you love Vincent Van Gogh, this book is definitely for you. It is hard for me to not compare ‘In Sight of Stars‘ with Gae Polisner’s other books. I love them all because of the way they take a contemporary issue involving teenagers, family, community and society and explore it in depth in the form of fiction. ‘The Pull of Gravity‘ will always have a special place in my heart because it was Polisner’s first book but I also loved ‘The Summer of Letting Go‘ and ‘The Memory of Things‘. In this book, ‘In Sight of Stars‘, I felt that the style and the story and the characters were more intense, more grown up. I felt that the author was getting into new terrain here. I loved that. I think, though it is hard to compare, that it is one of Gae Polisner’s finest works. 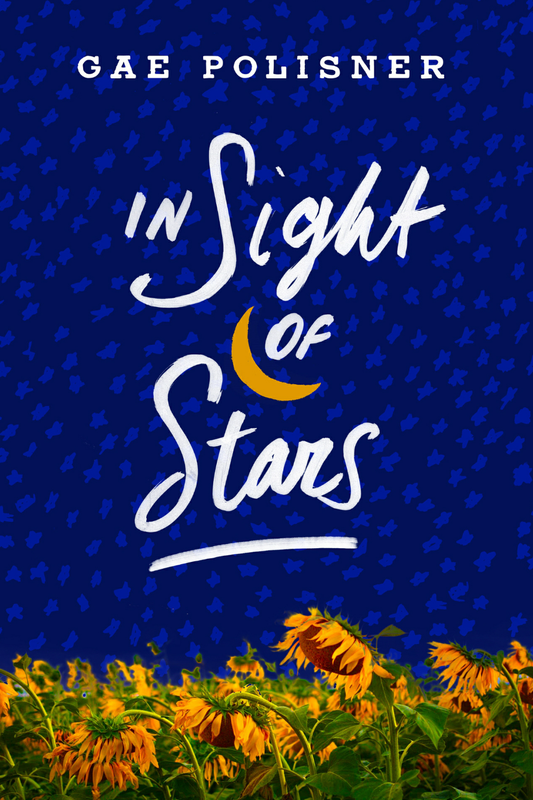 ‘In Sight of Stars‘ is about love, family, loss, grief and about the beauty and therapeutic power of art. It is early days yet, but I think it is one of my favourite books of the year. “My body plummets, strong like a bullet, and then I hit the water, hard, stinging, losing my grip on Sarah’s hand. I plunge deeper, and deeper, and deeper. Everything erases from my brain. The pressure is intense on my ears. Have you read Gae Polisner’s ‘In Sight of Stars‘? What do you think about it? I read Sara Naveed’s second book ‘Our Story Ends Here‘ last year and liked it very much. 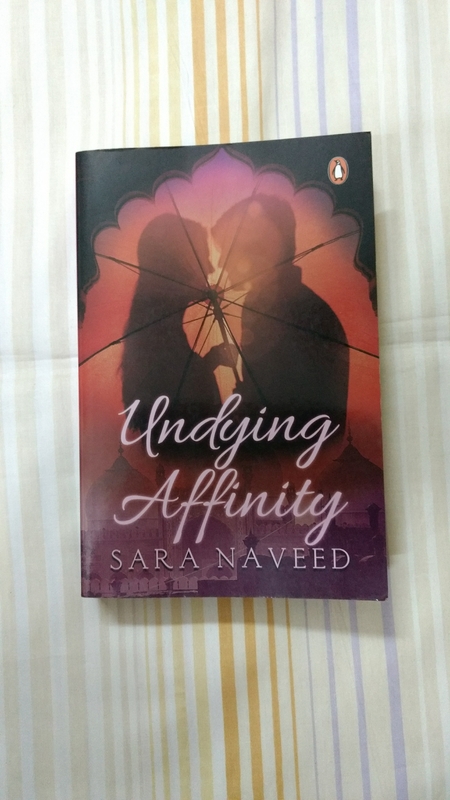 A few months back Sara Naveed’s first book ‘Undying Affinity‘ was reissued again in a second edition. I was finally able to read it this week. Zarish is twenty two years old. She is doing her masters at the university. She is good at her studies. She also loves hanging out with her friends. Haroon is her best friend. Zarish loves him like a friend, platonically. Haroon secretly loves her, romantically. One day Zarish is spending time with her friends at the mall when she accidentally bumps into a tall, handsome stranger. Food spills on her clothes. Heated words are exchanged. Zarish takes her revenge later. But the next day she notices that the tall, handsome stranger walks into the university. She is stunned and doesn’t know who he is and doesn’t know what to do. Who is he? Is he a fellow student? Is he going to be in Zarish’s class? Or, more interestingly, is he a teacher? Is he going to be teaching Zarish’s class? As lovers of romance, isn’t that what we want? What is going to happen when Zarish and this handsome stranger bump into each other again? Are they going to hate each other? Are they going to be attracted towards each other? Are the sparks going to fly? The answers to these questions form the rest of the book. I enjoyed reading ‘Undying Affinity‘. The story is fast-paced and makes one want to turn the page to find out what happens next. Sara Naveed’s prose is spare and moves along the plot nicely – every word and sentence moves the plot forward or builds a character or sets up a scene. There are no redundant sentences and long-winding descriptions. The initial pages move at a fast pace, while setting up the story and the characters, and then the book moves slowly when the love story starts flowering, and then three-fourths into the book, the story gains pace again as surprises are revealed, twists happen in the tale, and the story hurtles into its climax. I loved the way the story changes pace across the book, depending on the story arc and the mood, like a beautiful complex piece of classical music. I also loved the way all the intricate story strands are woven together in the end into a beautiful, satisfying ending. It is hard to resist comparing ‘Undying Affinity’ with Sara Naveed’s second book, ‘Our Story Ends Here‘. I don’t know which one I like more – both are love stories and both are very different. There are beautiful descriptions of the Swat valley in ‘Our Story Ends Here‘, but outside of that, both stories are nice, beautiful reads. If you like romance novels and love stories, do try this one. And also ‘Our Story Ends Here‘. I can’t wait to find out what Sara Naveed is going to come up with next. Have you read Sara Naveed’s ‘Undying Affinity‘? What do you think about it?